Success in growing herbs means selecting the right plant and then giving it what it requires. 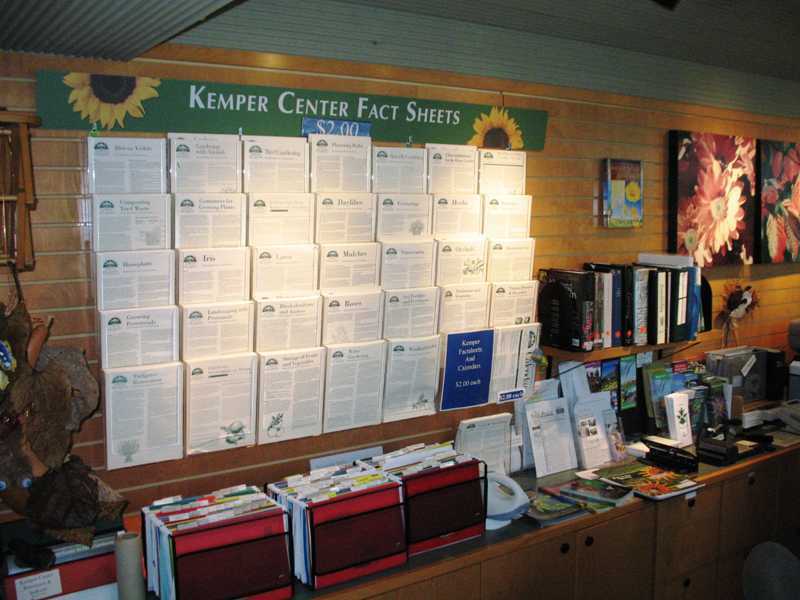 Our Kemper Factsheet on Herbs covers selection, care, harvesting, preserving and propagation. Herbs are generally more problem-free than many plants if they are grown in good light and in well-drained soil. Root rots and plant collapse can occur in wet, water-logged soil. 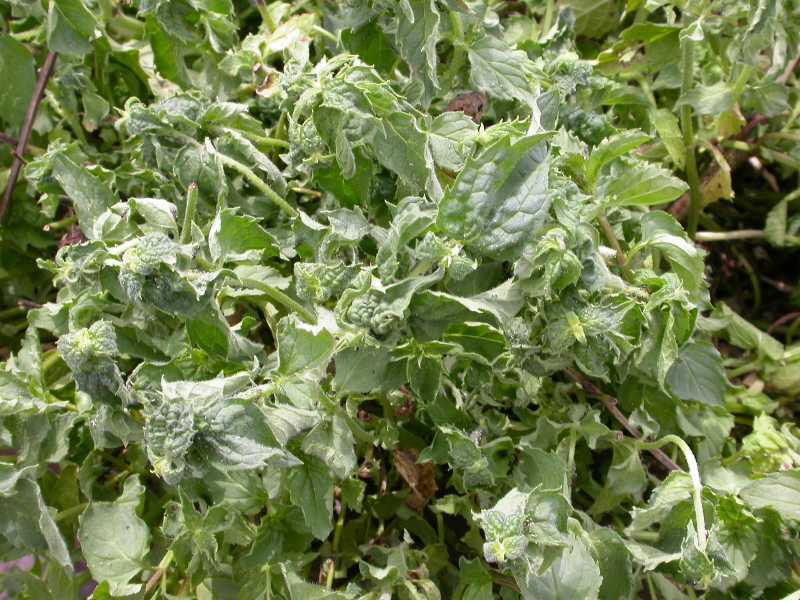 This can be especially problematic for perennial herbs in winter. 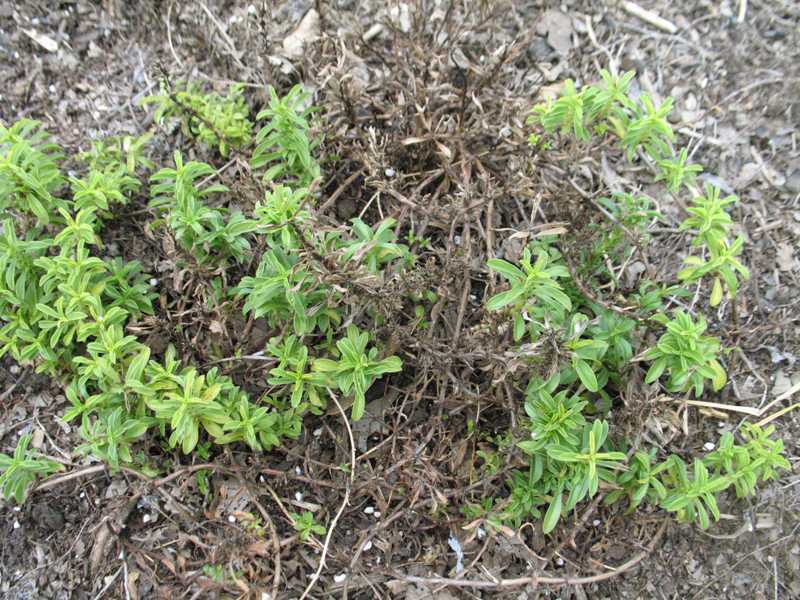 Cold, damp soil can result in certain death for many overwintering herbs that require a welldrained soil. 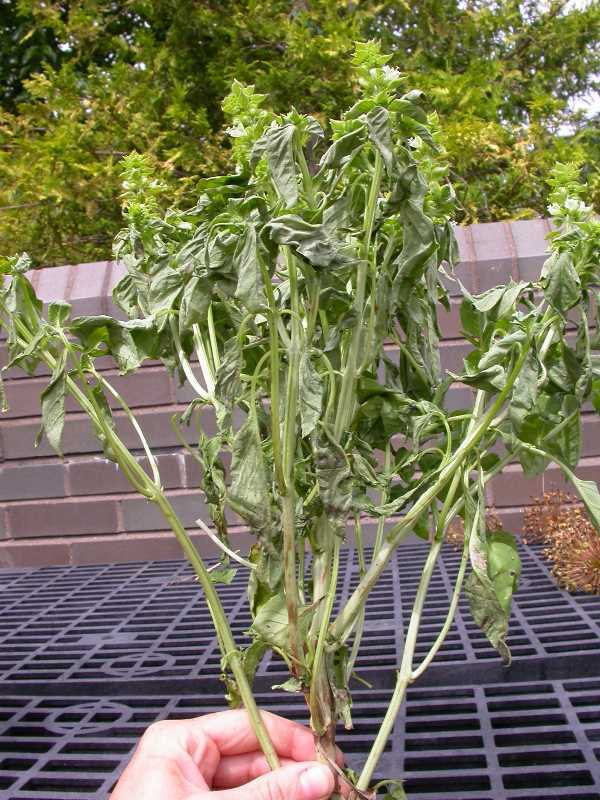 Fusarium root rot can be problematic on basil plants resulting in part or all of the plant wilting and dying. Look for brown streaks on the stems. Rust is common on mints. 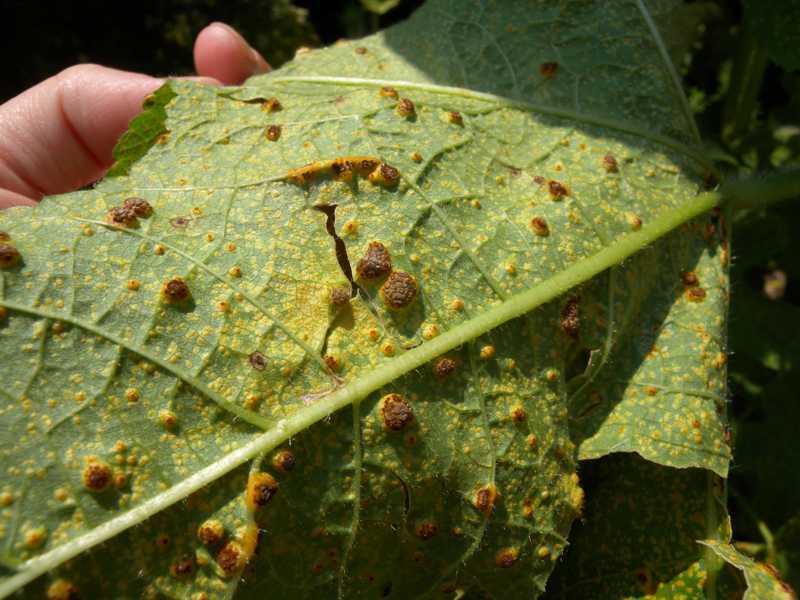 Look for rusty orange pustules on the underside of leaves (similar to the rust on hollyhock pictured at left). 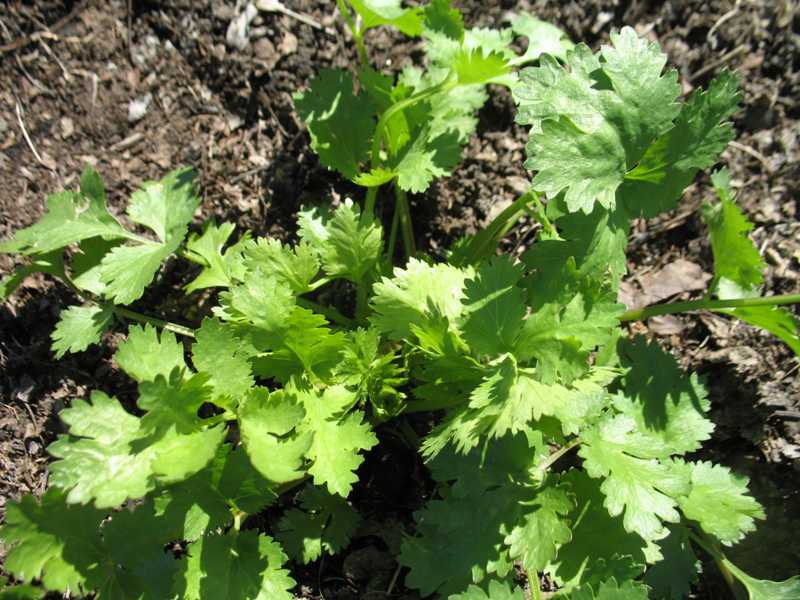 Cilantro or coriander (top image) is a cool-loving herb that will bolt (go to seed) when hot temperatures arrive. If plants are allowed to ripen and drop their seeds, a fall crop can be harvested. 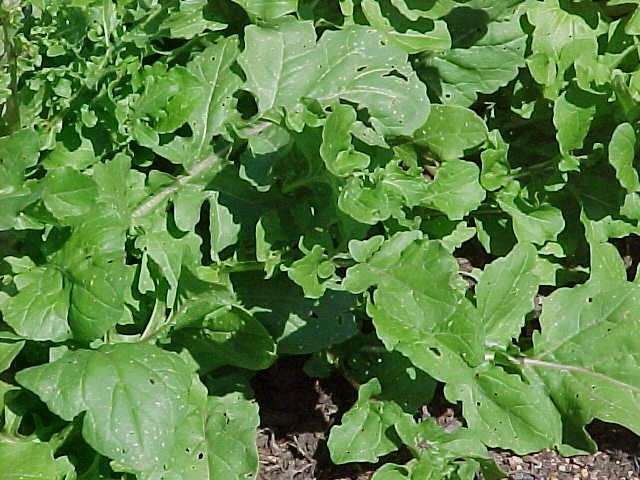 Arugula or rocket (bottom image) is another cool-loving plant that is often grown as an herb or cool-season salad crop. It too will reseed. Aphids love tender young growth. In large numbers they can cause curling of leaves. 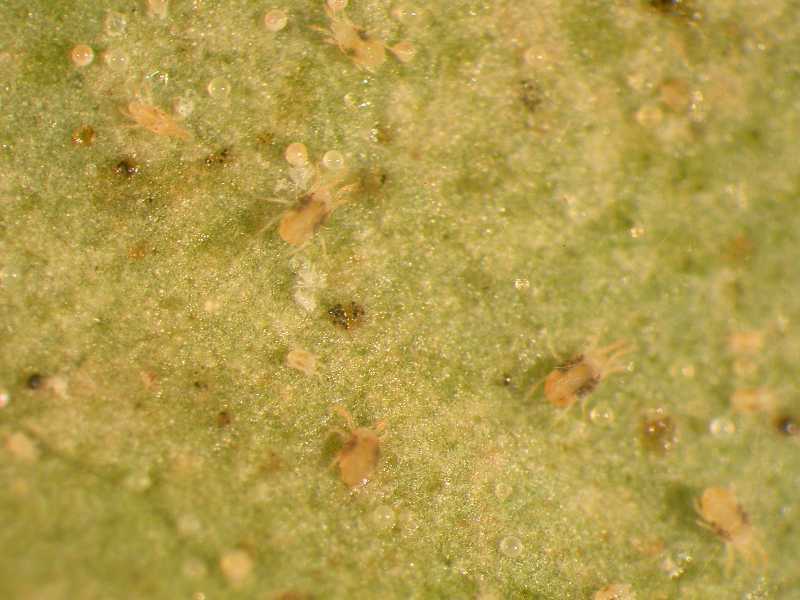 Spider mites like hot, dry conditions. 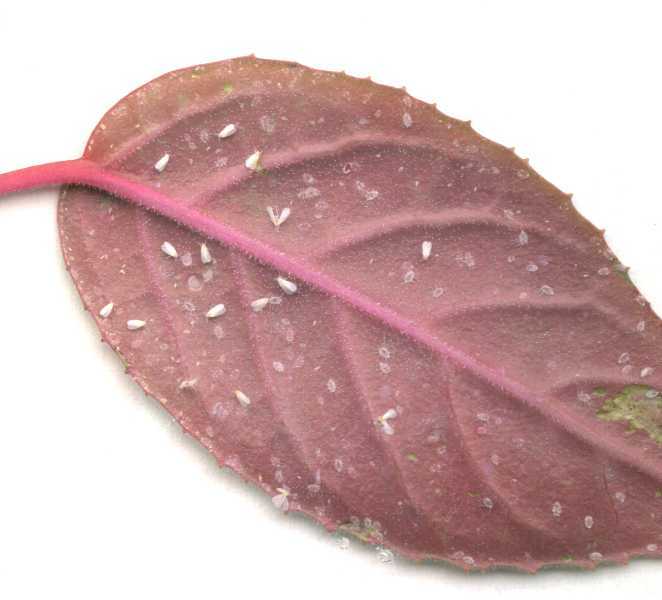 Examine plants closely, especially on the underside of leaves for these very small pests. Adults of this pest will fly when disturbed--a good sign of the pest. Also examine the underside of leaves to locate and control the larvae before they develop into adults. 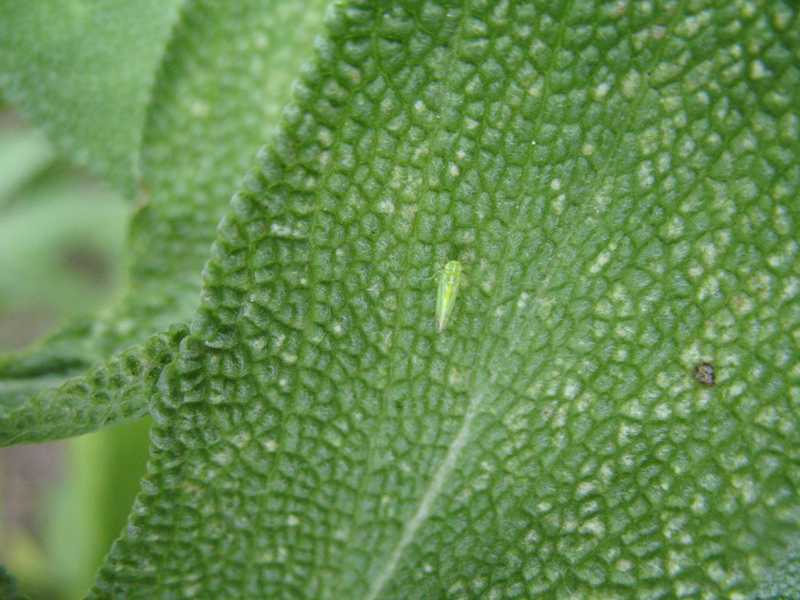 Leafhoppers can feed on a variety of herbs including basil, oregano, parsley, and others. Usually they do little damage. 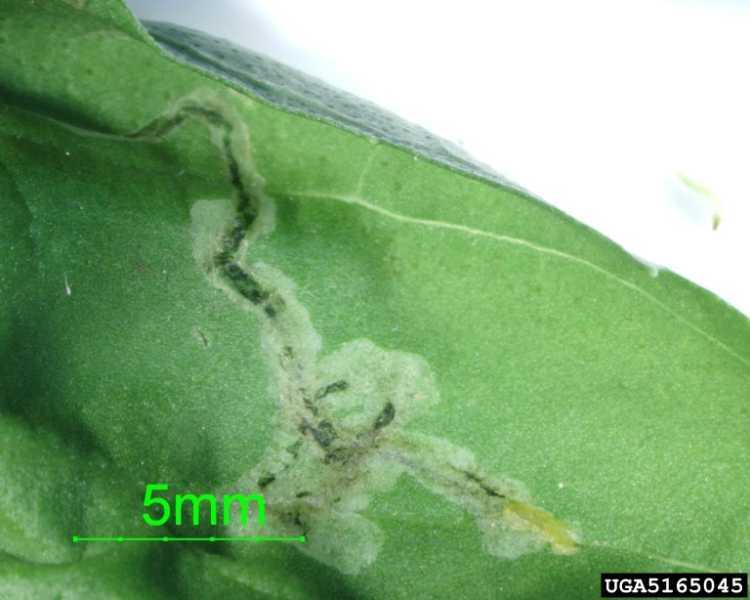 Basil and other herbs may occasionally be visited by leaf miners, which tunnel between the upper and lower leaf surfaces, leaving pale, sometimes serpentine trails in the leaf. They are the larval stage either of certain flies (pictured on the left in a basil leaf) or wasps or sawflies or moths. 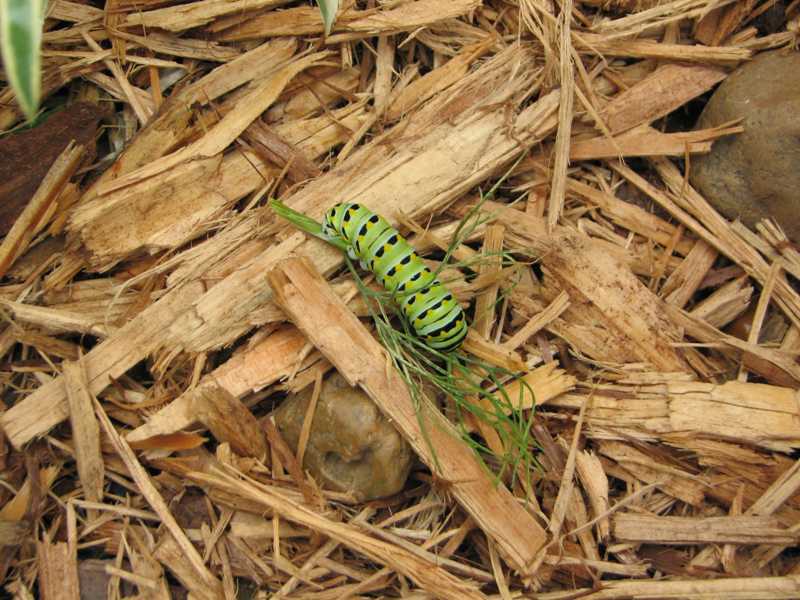 Parsley, dill, and fennel may be fed upon by caterpillars of the black swallowtail butterfly. Since the adults are beautiful, many gardeners decide to grow enough for both the caterpillars and the gardener. 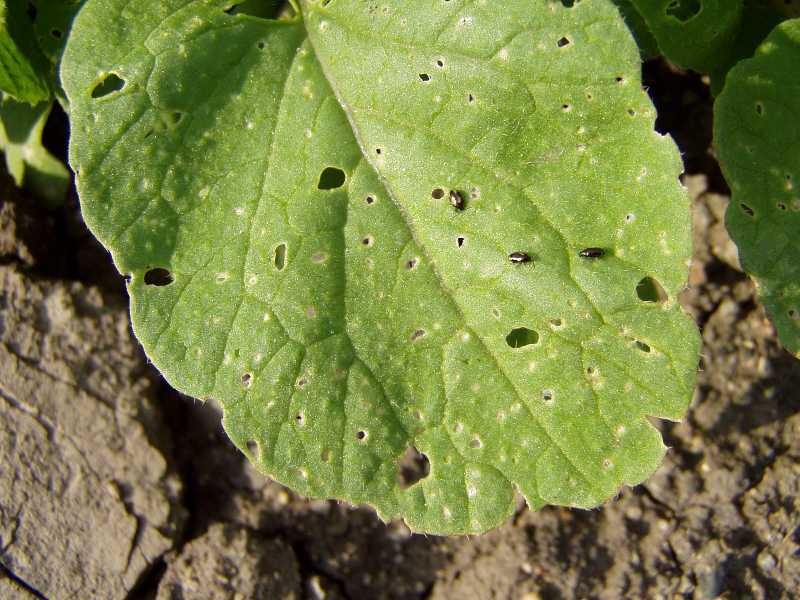 Flea beetles are tiny insects that love to chew holes in the leaves of herbs and vegetables. They usually feed on the upper leaf surface making small holes, some mere pinpricks and some that do not penetrate all the way through the leaf. 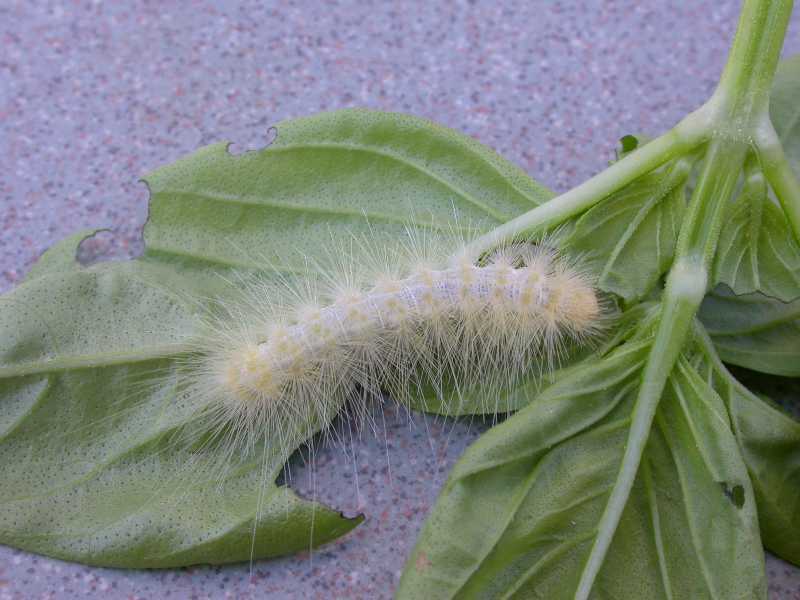 Other caterpillars, beetles and weevils may feed on basil (pictured) and other herbs. The carrot weevil, a snout-nosed beetle, sometimes feeds on parsley roots. Slight damage is of little concern. 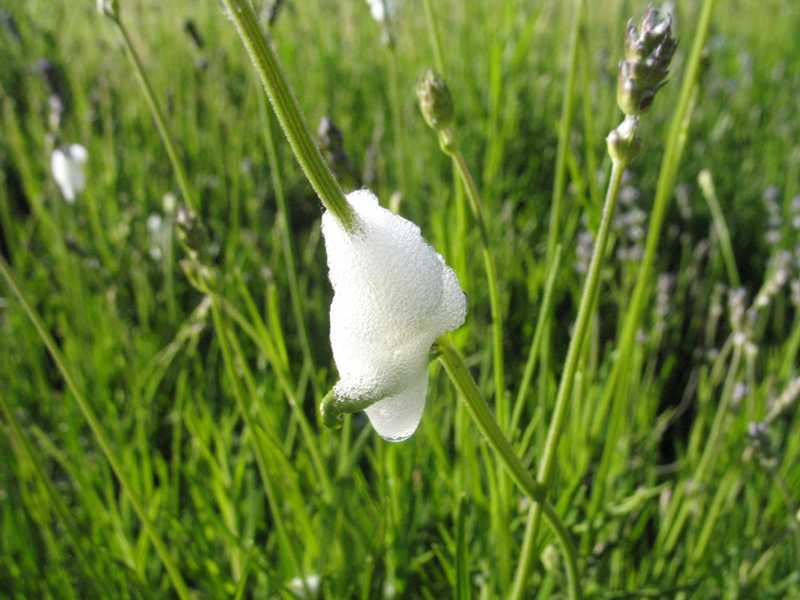 Spittlebugs are piercing-sucking insects that protect themselves with frothy spittle. They usually do little damage and can be washed off with water.